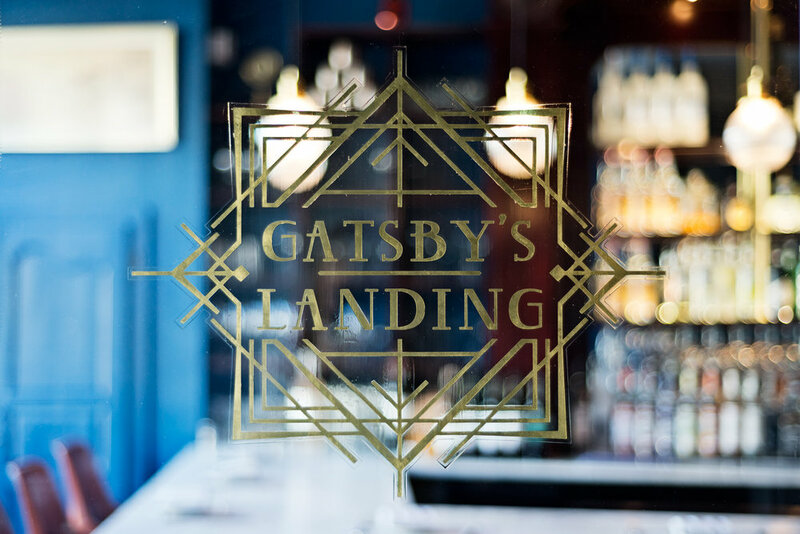 Gatsby's Landing, located in historic Roslyn, NY pays homage to the F. Scott Fitzgerald classic through a modern interpretation of opulent 1920's design. 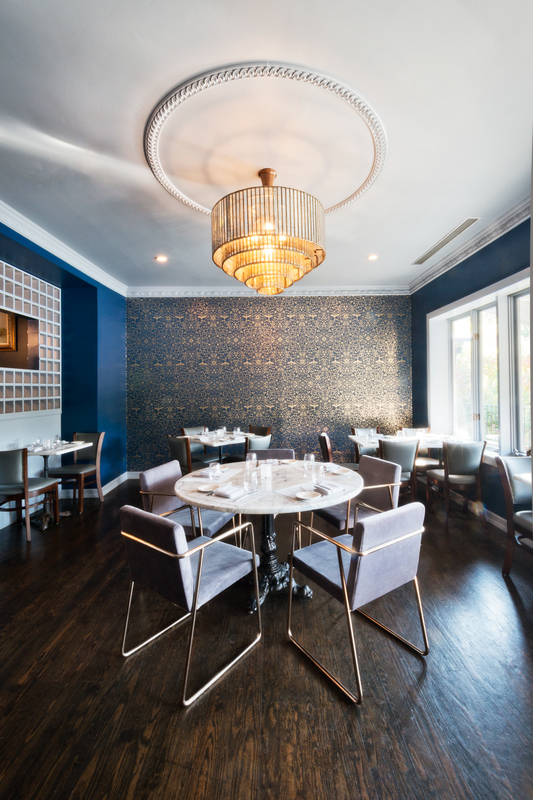 Rich navy walls throughout the restaurant compliment warm leather seating and are accented by new brass and glass light fixtures. 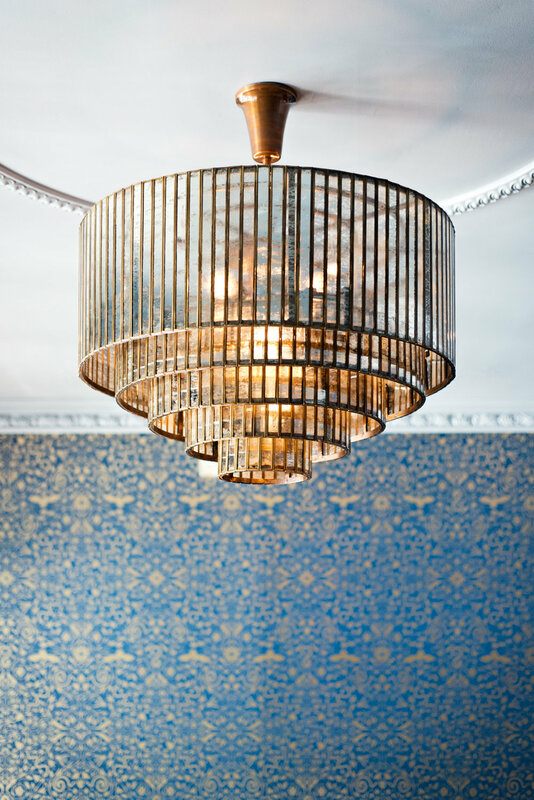 SALT designed custom wallpaper for the private dining room overlooking Roslyn Pond, which creates an environment of softly shimmering light. In the main dining room, a large marble work surface brings the dynamic energy of the open kitchen into the restaurant, providing a unique dining experience. SALT took on the challenge of working with the client's aggressive schedule and budget and was able to find unique and creative ways to breathe new life into this turnkey space. 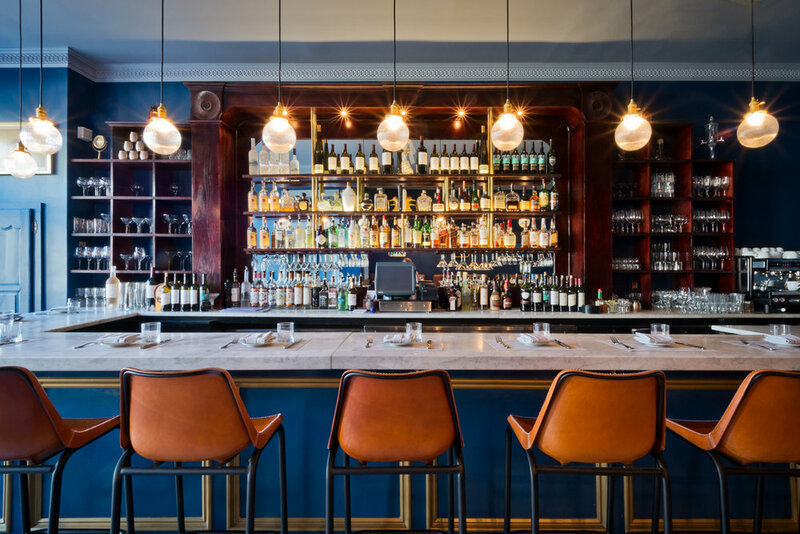 Together with the client we were able to transform a family style Italian restaurant into a New American classic.